Just had a back and forth with @dahowlett on Twitter about Dropbox’s recent breach of security. For about 4 hours passwords didn’t matter to Dropbox–you could type in whatever you wanted and access anyone’s data. Dennis went on a pretty good rampage about it, and I have a hard time blaming him. Yes, accidents happen, this is software, and all software has bugs. But some kinds of problems are sufficiently scary that there should be automated testing that is pretty bulletproof in preventing these problems from reaching customers. – It might be impossible to add data to your Dropbox. – It might be impossible to retrieve data from your Dropbox. 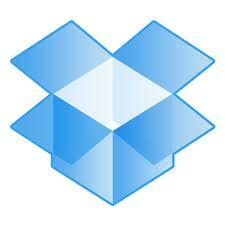 – It might be possible for anyone to access your Dropbox (this problem that prompted this post). It’s not a hugely long list, but these are the obvious catastrophic things a service like that has to make sure can’t possibly get out the door. Ever. Isn’t this level of quality just table stakes? We live in a world where VC’s and Angels want software developed on a shoestring. They’d prefer it was done and working with customers and traction before they put a dime into the company. We like to revel in the idea of Continuous Deployment–look, it’s so easy, even our VC can push code out to our customers. We kid ourselves that programming tools are so much better than they once were that we can do the same things faster, better, and with far fewer engineers. Never mind that you can look at things like Objective-C and wonder what people who think that are smoking. The tools are better, but not that much better. We’ve simply lowered our sights on what we’re building. We think all the cool kids are on the consumer side, so much so that we want to “consumerize” the business side to make it better. Quite apart from my belief that consumerization is something else entirely, isn’t all this hubris how we wind up with problems like Dropbox’s? Let me ask it a different way: are we doing to our once innovative Software Industry exactly what the bean counters did to our once innovative Auto Industry? We know how that turned out. The once proud American Automakers eschewed innovation, style, quality and performance for cheap, cheap, cheap. The bean counters and finance types ruled over the engineers and stylists and we cut costs everywhere we could, introduced planned obsolescence, Ford Pintos blew up when rear ended, yada, yada. The car became a commodity. Right up until Japan figured out that Quality is part of the User Experience too. What now Ford, Chevrolet, and Chrysler? Once upon a time the Valley stood for cool technology. I’m not saying a lot of cool technology isn’t still being built, but it sure is a lot harder when the way to fame and fortune seems to involve catapulting cuddly birds at complacent pigs in rickety houses. Do you remember the horrendous excuses for automobiles Detroit started giving us in the late 70′s? The Mustang II. The Chevette. There are many more. Even now Detroit hasn’t really recovered. Are we building the equivalents in the software world as we speak? I read Mark Sigal’s post, “The iPhone, the Angry Bird, and the Pink Elephant,” and I wonder if we aren’t on the same wavelength. He bemoans the contrast between huge companies built on great products in previous iterations of the industry and the present. The PC revolution gave us high profile names like Intuit, Lotus, Microsoft, Apple, Adobe, Symantec, Borland, CheckPoint, McAfee, Oracle, Siebel and Sybase, as well as many others. Some have lived on and some have died, but you can’t deny they were all great at least at some point. The Internet revolution added names like Amazon, eBay, Yahoo, Google and PayPal. And let’s not forget the Enterprise side like Salesforce, VMWare, NetSuite, and others. Again, some are not so great as they once were, but they each accomplished quite a lot. Now we have the likes of LinkedIn, Facebook, Groupon, and Zynga. Are they really in the same category as any of the prior players? Do they deserve valuations that imply they are somehow even better than the prior giants? Perhaps, but from my perspective each iteration seems like more and more the greater fool theory and less and less innovation, talent, and quality. Could any of the more impressive earlier generations even be possible to found today? Are we so obsessed with quick hits, bubble economics, and trivial software that we wouldn’t even try? There certainly are some exceptions, and in some cases they have resulted in amazing companies. Reed Hasting’s Netflix is no flash in the pan consumer web quick hit. Steve Jobs’ latest efforts in the iPhone and iPad are likewise revolutionary. But access to capital to do truly big things is pretty limited. Hastings got Netflix done before the current funding mentality set in and Jobs needs no VC. Everyone else either gets to be a digital sharecropper slaving to get lucky so their Darwinian seed can be plucked up and pumped full of uber-growth-hormone-capital for instant bubble inflation, or they go the bootstrap route and try to make it without capital. At some point there will be the equivalent of the Japan Car Industry that reverses this trend to the inane, brings back Quality and Innovation as features of the UX, and knocks the current Tom Foolery right out of the park. We’re already too far down the ski jump on this bubble cycle, but perhaps out of the ashes will come a resurgence. Let’s hope so.